Numbers Dive: Why the average red zone efficiency? Texas’ final scoring drive of the season was capped by a fourth down rush by Sam Ehlinger. It was the sophomore quarterback’s 16th rushing touchdown of the season, with few requiring as tough an effort as Longhorns’ final score against Georgia. The Longhorns’ final NCAA ranking in red zone efficiency? No. 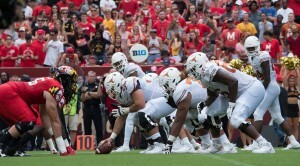 82 behind Maryland, Oklahoma, Iowa State, Georgia, Oklahoma State, and Texas Tech from the 2018 schedule. Not only were the Longhorns No. 82 in the country in red zone situations, they also scored on 82 percent of red zone opportunities. For reference, Alabama sits a few spots ahead at No. 77 scoring on 82.3 percent of opportunities. National champion Clemson is No. 30 scoring on 88 percent of its 75 red zone attempts. Miami (OH) led the nation scoring in 97.7 percent of its red zone opportunities. For a team where short-yardage toughness and red zone success is constantly stressed by both the coaches and by graphics plastered throughout the Texas football facility, barely being in the middle third of a stat built on those two things seems like a shortcoming. The nine occasions Texas failed to score when in the red zone can be divided into three categories; kneel downs, turnovers, and missed field goals. Texas worst red zone performance of the season statistically came in game two against Tulsa. A lackluster showing against a middling AAC team included a paltry 50 percent success rate inside the Golden Hurricane red zone. Texas coach Tom Herman has said publicly on multiple occasions that he can’t stand 20-yard field goals. In the first quarter against Tulsa, he passed up an opportunity to kick one and tried to score six. 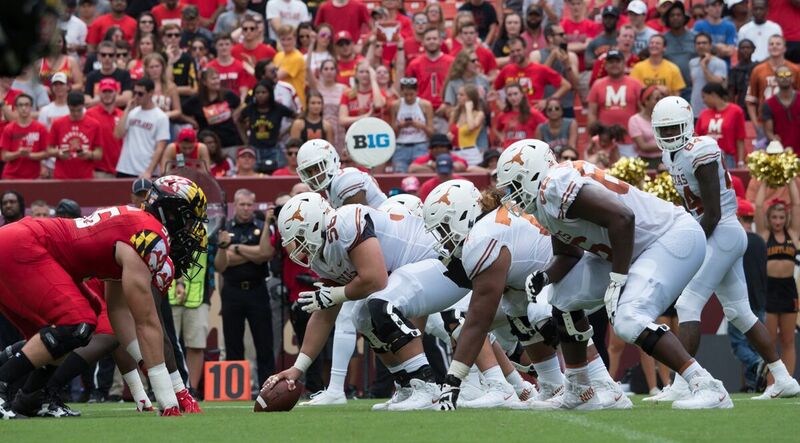 The Longhorns had driven 72 yards already, driving two more was within reason. A failed pass attempt to Collin Johnson gave Texas its first miss inside the red zone of 2018. The other “failed attempt” from week two came at the end of the game, when Ehlinger knelt out the clock. Miss No. 3 came the following week against USC, when Daniel Young coughed up the football. From this point, Young averaged under three carries per game. The final culprit behind Texas’ few red zone fails was revealed in the TCU game when Cameron Dicker missed a field goal opportunity. For the year, Dicker missed three field goals when Texas was snapping the ball from the red zone. He had seven misses total on the season. The Longhorns knelt out the clock against Kansas State before going 5-for-5 the following week against Oklahoma. Dicker missed a field goal against Baylor late that kept the Bears in the game, but ultimately the Texas defense made a final stand to prevent any damage from the miss. West Virginia created the second of Texas four red zone turnovers in the third quarter of the important Big 12 matchup when they stuffed the Longhorns on a 4th and 1. Dicker missed another FG against Iowa State, but that would be his last red zone miss of the season. The final red zone failure by the Longhorns came at the end of the conference championship game when a hurried Ehlinger threw a pass that looked intended for Sooner defenders rather than Longhorn receivers. Overall, Texas cost itself points on seven of the nine occasions it didn’t score while in the red zone. If the kneel downs are not factored into the percentage, Texas scored on 85 percent of its red zone opportunities. That would put Texas in the No. 60 range nationally. Ehlinger scored 16 rushing touchdowns this season. All of them were red zone scores. 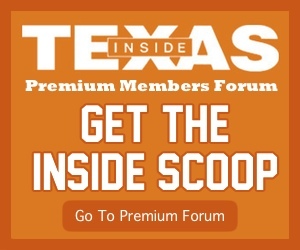 Ian has long written about how Ehlinger is a fullback/quarterback hybrid, and Texas used him more like a fullback in situations near the goal line. Lil’Jordan Humphrey, Keaontay Ingram, Tre Watson, and Kyle Porter all also contributed with touchdowns on the ground in goal line situations. Ehlinger added nine passing TDs in the red zone with Humphrey adding one of his own on a trick play against Oklahoma. Humphrey, Watson, Ingram, Devin Duvernay, Collin Johnson, and Andrew Beck all added touchdown receptions in short yardage in situations. Humphrey and Johnson caught one-on-one balls, Watson and Ingram leaked out of the backfield and got into space, and Beck surprised defenses when he crept off the line of scrimmage. 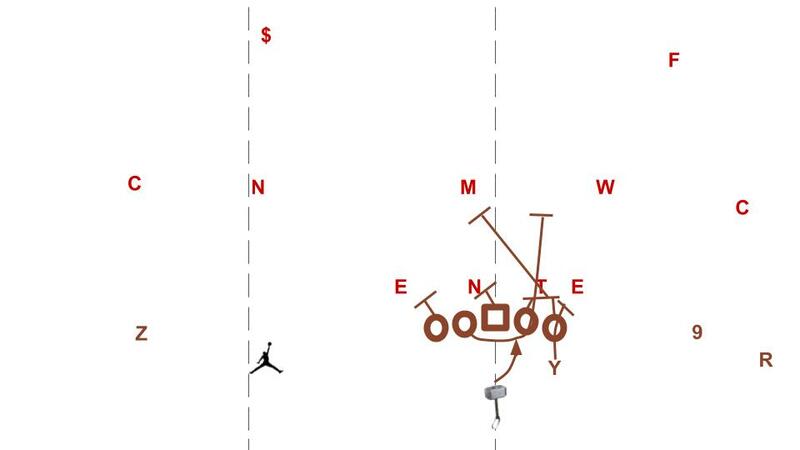 However, Ehlinger and Beck failed to connect on several seam routes that seemed destined for the end zone in 2018. In short yardage, red zone or otherwise, Texas tried to keep it pretty simple and pound the ball predominantly using QB run. Sixteen rushing touchdowns from the short-yardage quarterback, none longer than 16 yards, is evidence of this. One, make field goals. College kickers always make things interesting, and freshman college kickers more so. Dicker went from making a game-winner against Oklahoma to missing his next attempt against Baylor. The freshman from Lake Travis had a decent freshman year, but becoming more reliable from 39 or closer will help Texas’ red zone numbers. Two, have some variety. Because of Ehlinger’s prowess running short yardage, a QB run was almost always the play call near the goal line. The lack of variety almost cost Texas against Georgia when Ehlinger barely crossed on fourth down for the final score. The Longhorns had some change-ups earlier in the season with Humphrey running wildcat, but moved away from that as the year went on. Going with what works is understandable, but pigeonholing the offense isn’t. Texas will lack Humphrey but will have other options next season like Jordan Whittington who have some experience fighting for short yardage.